Social media has become a highly influential component of any brand’s marketing efforts. As medical and dental practices dive into the world of social media for business, one of the first questions they ask is: “How do I know if it’s working?” If you’re investing time and money into your social media presence, you want to make sure you’re being efficient with your spending and using platforms like Facebook and Twitter to their full potential. So, how do you measure the success of your social media marketing? Normally, this would entail quantifying your return on investment (ROI) – the profit leftover after you consider all the associated costs that contributed to implementing your strategy. Unfortunately, calculating this specific number can be difficult since social media is typically not used for direct sales. Instead, these networks are often used to supplement and enhance the rest of your marketing strategy. Social media focuses more on branding and being in front of your target audience rather than making a clear profit. Although ROI may not be a realistic method for determining the success of your social media efforts, you can gauge the impact you are having thanks to a unique aspect built into these social networks. A distinct feature of using social media for business is your ability to market to specific demographics and monitor their behavior. This is significant because it gets your practice noticed in a way that Google can’t. By utilizing networks like Facebook and Twitter, you are positioning yourself in front of people who may not be actively searching for what you offer; however, it may ignite their interest in your services. Purchasing ad space on Google AdWords, for instance, will market your practice exclusively to those who are seeking relevant information. While this has proven to be an effective strategy, social media could hypothetically attract more of your target demographics and a broader audience compared to traditional online media buying. While digital marketing can often provide clear ROI numbers, the success of your social media marketing is typically measured in a more indirect way. Before you can evaluate your progress, you will first need to create measurable objectives. These will help guide your use across the different social media websites. As you actively work to reach these goals, launching social media campaigns can be useful to refine your strategy. While it can be tempting to focus on how many “likes” or comments you have on each post, this is not the only way to determine the impact of your efforts. This is because even when people aren’t obviously engaging with your posts, they are still seeing your page’s activity. There is great value in simply having your social media updates in front of your target audience. By utilizing tools like Facebook Insights, for example, you can learn from your audience’s behavior, such as which posts are receiving the most views, which demographics are the most (and least) active, and which posts caused people to take further action. Google Analytics is another valuable resource that can help you view and track referrals from your social media page(s) to your practice website. By monitoring these analytics, you can adjust your strategy to focus on what is working and avoid what hasn’t been. Just as ad buying has become an important part of ranking at the top of SERPs, so has promoting posts become practically mandatory for having a competitive edge on social media. Organic social media activity (such as sharing status updates regularly without paying to boost posts) has become less effective at helping businesses reach their audience. Due to this fact, it has become increasingly important to purchase ads through these social networks to make your investment worthwhile. On Facebook, alone, there is an estimated 172 million daily active users in the U.S. and Canada. To gain the attention of your desired audience – most often, women ages 35-45 for medical and dental practices – you need to create demographically targeted brand messaging. By boosting your posts, creating ads for your practice, and specifically directing these efforts to your priority demographics, you can gain dramatically higher exposure for your page and, therefore, your practice. 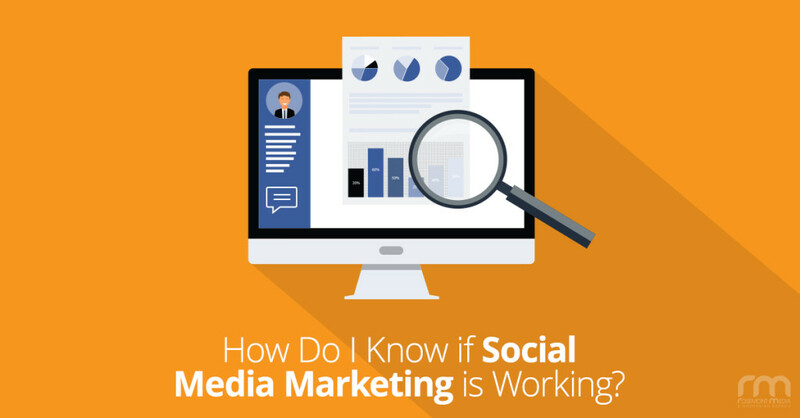 As you monitor the ongoing results of your social media marketing efforts – both organic and paid – you can learn how your audience is responding and adjust your strategy to focus on what is working and avoid what is not. This is why the most successful social media marketing strategies are constantly evolving, as there is always more to learn to further improve your social media presence. If you’re ready to grow your conversation with current and prospective patients while giving your practice an edge against competitors, feel free to contact us to learn how our experienced team can help you find the true value of social media marketing. 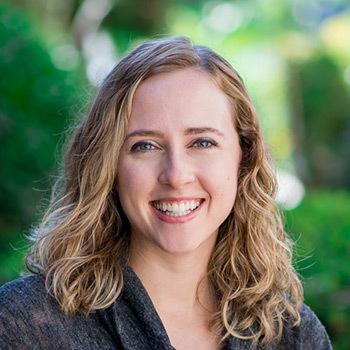 Katie is a Senior Writer at Rosemont Media with a passion for healthy living. Growing up in Illinois surrounded by corn fields, Katie started her transition west by attending Augustana College in the Quad Cities, where she received her BA in Business Administration and Communication Studies. After earning her degree, Katie made her way to San Diego to experience the bliss of living in paradise as she pursued a career in marketing. Six years later, she journeyed back to the Midwest to where she now lives in Chicago. In her free time, Katie enjoys being outdoors, exploring the brewery scene with her husband, and writing articles focused on fitness and nutrition in her healthy living blog.